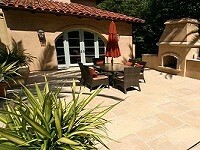 If you’re looking for ‘the best tile store in Simi Valley, CA’ you’ve come to the right place. Having a large variety of tiles and stones, Westside Tile and Stone has been catering to all sorts of housing needs in and around Los Angeles and California. We promise to provide a strong flooring base with magnificent designs. We provide the best tiles in the category of ceramic, pebbles, mosaic, porcelain, etc. 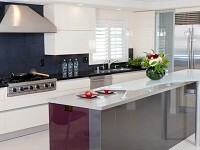 We have been in the field for the last 12 years supplying the best quality tiles. We have been breathing life into your kitchens, bathrooms, living rooms, bedrooms, patios, verandas, and terraces with our intricately crafted tiles. We are providing our services all around Simi Valley, whether you’re living in Chinatown, Hancock Park, Downtown, Arts District, Hollywood or elsewhere we will cater to all your needs. We are known for providing remarkable services in a small amount of time. We are proud to state that we provide the best quality tiles for a durable fitting. In our 12 years of serving you, never have once we have compromised on quality, and that reflects in the name we have built for ourselves. Our bespoke services have charmed our clients. We believe that a home is one’s sanctuary; hence we want to make it up to your liking. If you are looking to upgrade your kitchen or bathroom, we have wide range of Limestone Tiles, Marble Tiles, Sandstone Tiles, Travertine Tiles, Granite Tiles, Slate Tiles and Beveled Tiles in Los Angeles, CA.